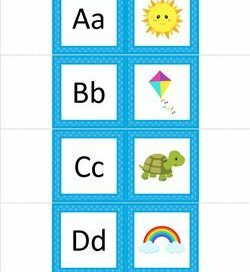 Please go to this page to choose from all of the alphabet resources on this site. Well, we aren’t boring on this page. 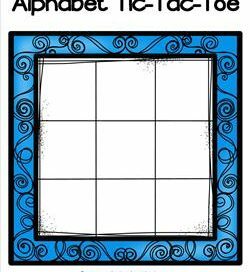 You just click on this bold black and blue alphabet tic-tac-toe board and you just might win a game or two! Ha! Ha! 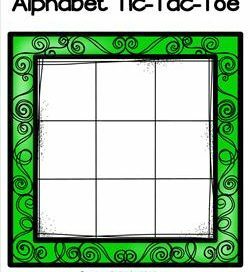 Okay, so you’re going to play alphabet tic-tac-toe, and you need some letters and you need something to play it on. Shazam! You’ve just come to the right place! 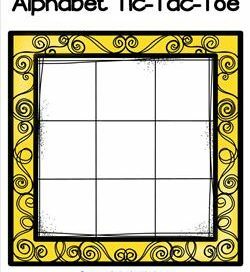 Now here’s a fun game! 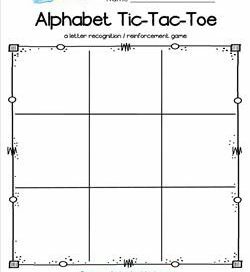 Alphabet tic-tac-toe! This orange frame, along with the other colors, can make it a tad more fun. Try it out. I’m sure you’ll like it! Here’s one of our alphabet tic-tac-toe frames in a bright purple. Have your kids play with each other or with you! 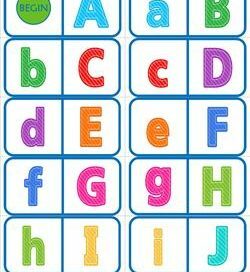 Great way to interact with the alphabet. Here’s the set of alphabet tic-tac-toe letters to go with the alphabet tic-tac-toe frames. 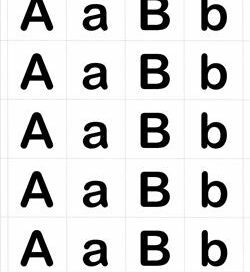 There are five of each letter – upper and lowercase. A fun game of alphabet dominoes for beginners. Start at the “begin” domino & match the colorful upper & lowercase letters until you got to the “end” domino. 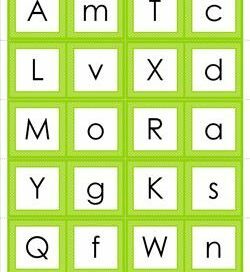 A fun set of green alphabet dominoes, kids match the uppercase letter to the lowercase letter. Match them up just so & you can end where you started! A brightly colored set of alphabet dominoes, they have upper and lowercase letters and a picture for the beginning sound of another letter in each domino. Looks like some teriffic fun to me!